Atlus has great news for Persona fans as it has announced that Persona 4 Golden for the PlayStation Vita will be released this fall in North America. 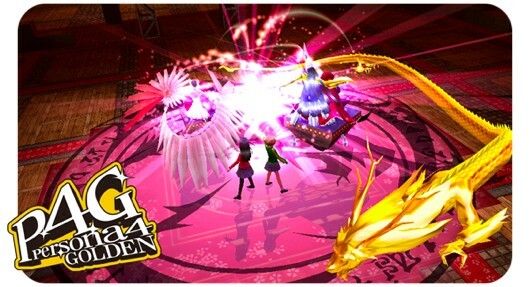 The Vita edition also contains several upgrades from Shin Megami Tensei: Persona 4 such as updated visuals and audio upgrades with additional voice dialogues from several characters. Aside from upgrades, various changes in the game will make it quite a treat for Persona fans as there are new events, new personas and the new “Mary” character. The adventure’s never been bigger, but it need not stay at home when you’re on the go! IRVINE, CALIFORNIA — MAY 2, 2012 — ATLUS, a brand of Index Digital Media, Inc., today revealed plans to publish Persona®4 Golden™, a remastered version of the award-winning RPG Shin Megami Tensei®: Persona®4, in North America this fall exclusively for PlayStation®Vita (PS Vita) handheld entertainment system. Now, following in the footsteps of Shin Megami Tensei®: Persona®3 Portable™, the second highest rated PSP system game of all time (gamerankings.com), Persona 4 Golden for PlayStation Vita offers an enhanced and expanded portable version of the highly acclaimed original. Visuals have been beautifully remastered to take advantage of the PS Vita’s crisp, vibrant 5″ OLED display. The game’s aural presentation is better than ever, with 1.5 times the voiced dialogue of the original release. A new online dungeon rescue feature allows users to call on other players for assistance when they are about to die in the TV world. Persona 4 Golden is also overflowing with new content: new Personas to collect; new story events along with an all-new character; stunning new anime cutscenes, which include a new opening animation with a new song from master composer Shoji Meguro; a host of fan suggested tweaks and changes, and much more! Persona 4 Golden is far more than just a handheld version of an all-time classic: it’s the best way to experience it yet!